The World’s first brain-computer VR interface allows users to control VR with their minds. Popular fictions have been exploring numerous themes like magic, and other super-human powers for as long as we all can remember. And as a society that is driven by fantasies, our imagination yearns to explore the impossible and the forbidden or something that belongs to the other world. We love the Extra-ordinary. Virtual reality (VR) is a computer technology that uses virtual reality headsets, in combination with physical spaces or multi-projected environments, to generate realistic images, sounds, and sensations that simulate a user's physical presence in a virtual environment. And the time has come when you can now imagine the power of your mind in VR. Neurable has now built the world's first brain-computer interface that allows VR users to use their thoughts to control the virtual environments. And hence, developed brain-computer interfaces (BCI's) for the next-generation computing platforms. And this very revolutionary technology allows people to interact with AR/VR environments using only their brain activity. The benefits of it in mixed reality are many and unique as BCI's analyze patterns of the brain's activity to determine user's intent. This prototype is attached to the back of an HTC Vive headset and is, therefore, capable of reading the user’s brain signals. The thoughts of the user have to relate to the specific actions relating to the virtual activity that is taking place, which are then interpreted by the interface to trigger actions. This technology is already capable of typing on virtual keyboards and controlling prosthetic limbs, that is entirely based on the brain's activity. Such interactions hold tremendous promise for mixed reality environments, where current problems with user interaction constitute a barrier to more widespread adoption. 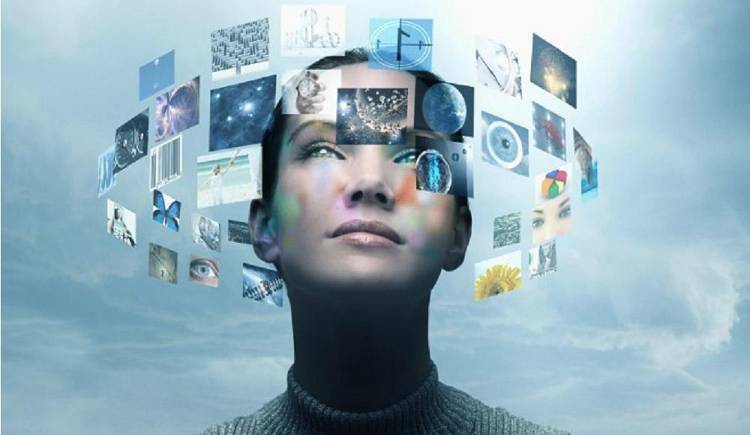 Virtual and augmented reality are now re-drawing the boundaries of experiences for humans. Both the mediums force us to think about how users should experience and interact with the digital world. The old rules now no longer apply. Immersive computing demands a new approach to human-computer interaction and promises to bring those fantasies closer to Sensory Reality. Gaming proves to be an exciting Forum for experimenting with any new technology, but the applications for BCI's extend far beyond just entertainment and hence, Interfaces will evolve to support more complex tasks. As of now, Neurable debuts Awakening, a VR game preview that is made in partnership with eStudiofuture, at SIGGRAPH 2017 in Los Angeles. The game allows you to manipulate objects and battle foes with one's mind. The game also requires the player to manipulate the objects to beat their opponents and features a complete lack of controllers. It can, therefore, be rightly said that Mixed reality cannot become a ubiquitous platform until Brain-Computer Interfaces (BCI's) act as a part of the solution. Hence, said, 'What the touch interface became to our Smartphone's, BCI's will become to Mixed reality headsets.